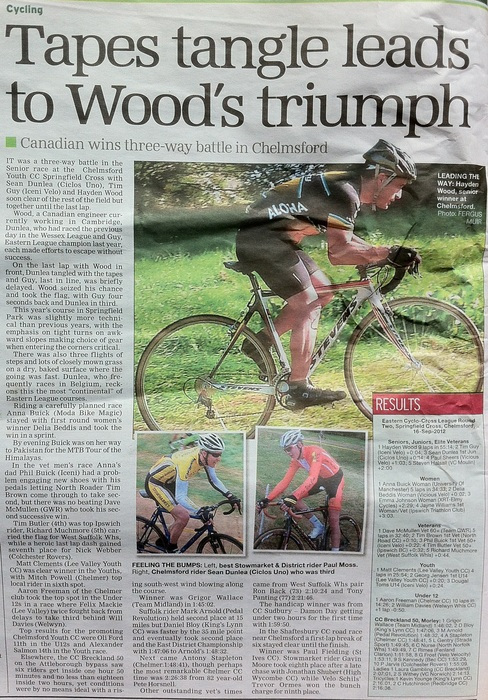 A lengthy write-up and pictures appear in the EADT (dated 22 September 2012). Fergus Muir penned the article, and the two smaller photos were taken by none other than budding pro-photographer Dan Swindells (aged 12). If Dan's cycling career falters, he may be able to earn a bob or two selling decent action shots instead! Keep an eye on on the EADT cycling section for more cycling & cyclocross news.